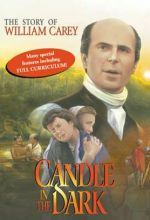 He sailed to India in 1793 with a reluctant wife and four children to bring the message of Jesus. There he encountered so much hardship it is amazing he didn't abandon his mission and go home. But he stayed for over 40 years. One issue that tormented him was sati—the burning alive of widows when their husbands died. He would not rest until this practice was stopped. 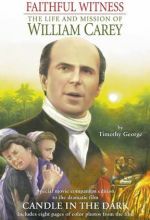 Facing insurmountable odds, he "plodded" on to influence the abolition of sati and to become the revered "Friend of India" and "Father of Modern Missions." He oversaw more translations of the Bible than had been done in all previous Christian history combined. 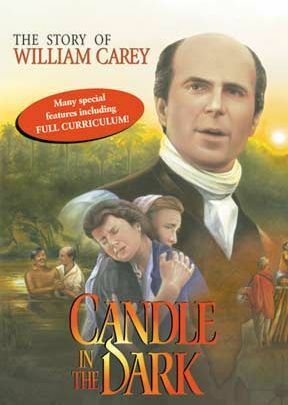 Life was never easy for Carey. But he simply refused to quit, even when a devastating fire destroyed years of his literary work. His legacy has inspired countless others from his own day to the present. 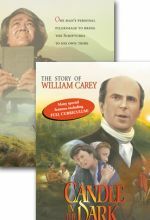 William Carey shows dramatically how a life dedicated to God and obedient to His calling can make a profound difference in the world. Starring Richard Attlee, Lynette Edwards and Julie-Kate Olivier. A Christian History Institute Production. Fullscreen.